Bonjour. 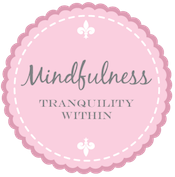 Welcome to the 182nd edition of Tranquility du Jour: A Guide to Bringing Tranquility to your Every Day. Today’s show features happenings and musings on creative expression with Violette Clark. 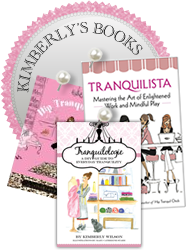 DC Book signings: Join me on Monday, April 26 through Ladies Who Launch DC and on Thursday, April 29 in Tranquil Space's tea lounge. 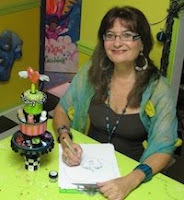 I am a mixed media artist, author, designer, workshop instructor and creative catalyst. I live in beautiful B.C. Canada with my partner Mr. G (aptly named for his tolerance of glitter) in a purple magic cottage. The cottage sports a huge papier mache dragonfly drenched in glitter! 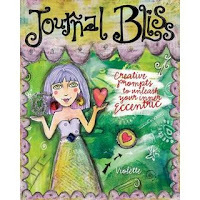 My first book Journal Bliss: Creative Prompts to Unleash your inner Eccentric is all about Visual Journaling. My passion is to teach others to embrace who they are through the vehicle of their creativity. 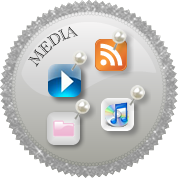 I do this mainly through classes on Visual Journaling (among other mixed media projects), in my online classes and in my blog. My home, glittery van and art have been featured on numerous TV shows. OMwork: How can you embrace your eccentricity? Signature Style: The ballet-inspired spring collection at TranquiliT.com in en pointe pink, sugarplum purple, and noir featuring the reversible wrap dress. Whimsical, girly, feminine, and fun! 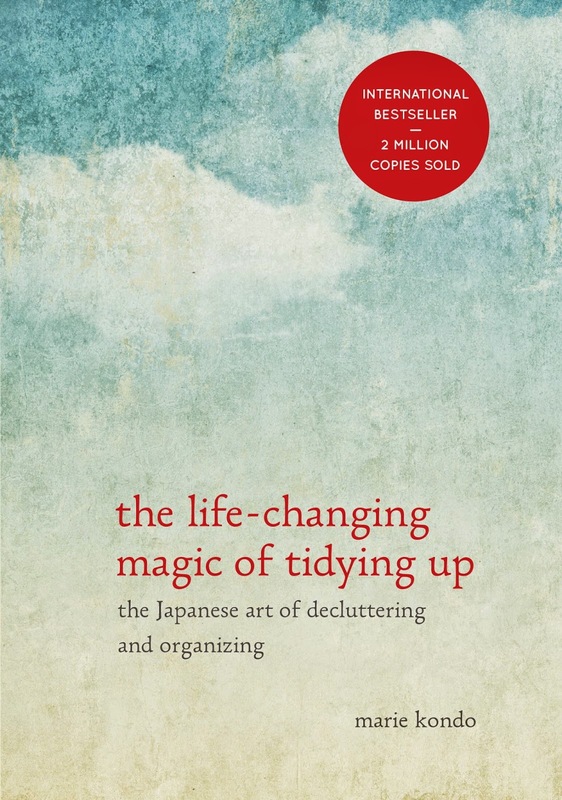 Stay Au Courant: Create a home practice. Join our Facebook group. Become my Facebook friend. Follow moi on Twitter. Download Tranquility du Jour on demand. 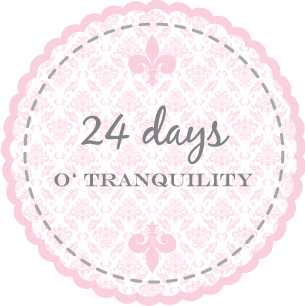 Watch bi-weekly Tranquility du Jour TV on youtube.com/tranquilitydujour. Explore mentoring with moi. Peruse Hip Tranquil Chick or Tranquilista. Deepen your yoga practice at Tranquil Space. 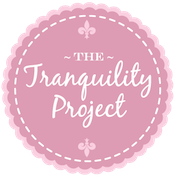 Get your do-gooding on with Tranquil Space Foundation. Sign up for my museletter. Join Tranquilista's fan page. Tranquil Space Foundation's hosting LunaFest on April 22! 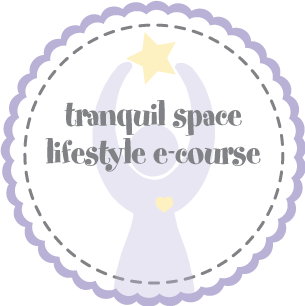 Tranquilology Teleclass: Join moi for our next Tranquilology Teleclass "Frolicking into Fall" on Monday, September 20 at 9pm ET. $10. View petals from winter's teleclass. Au Revoir: To close out the show, we’re playing Steal Your Love by Carrie Rodriquez. You can learn more about her music at carrierodriguez.com. I loved hearing about the purple cottage! So much fun!